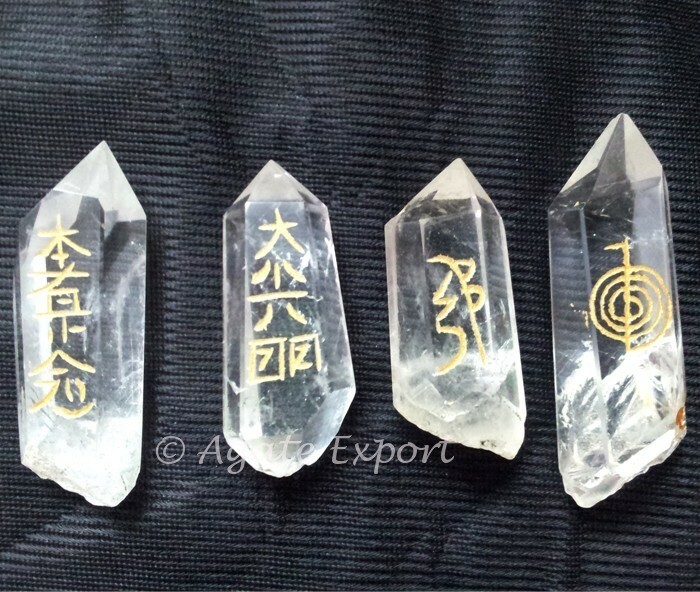 Crystal Quartz Usai Reiki Set has four stones, each with a symbol. 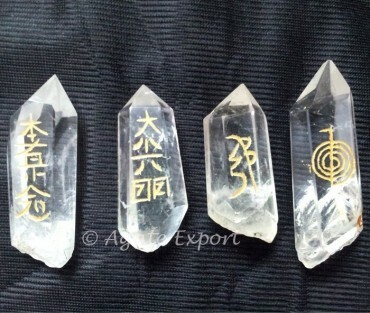 These symbols cleanse the environment, protect you, help to connect with higher realm, and help in soul healing. Chakra Disc Set With Velvet Box.